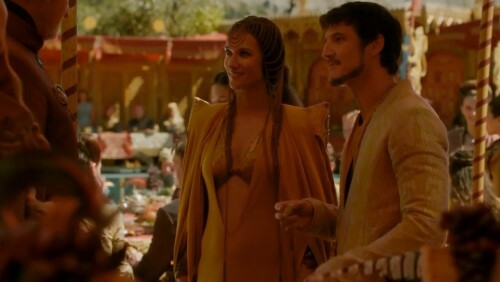 Oberyn and Ellaria speak with Lord Tywin and Cersei. Oberyn’s costume remains excellent, but this ensemble for Ellaria looks not unlike a 70’s disco chanteuse’s look. Not a fan, especially of the bra/bikini top thing which feels well out of place.